As they are learning a second language, all students go through distinct stages of language acquisition. Effective ELL instruction reflects a student's stage, helps students move through stages, and engages students at all stages in high-level thinking. Knowing these helps you accept a student’s current ability and modify your instruction to help move them to the next stage. Wixie provide helpful tools for teachers who want to build both content knowledge and support language acquisition; providing tools for teachers to differentiate instruction and tools for students to demonstrate comprehension through a combination of text, visuals, and voice recording. During the Silent or Receptive Stage, students are acquiring language but not producing it. They may understand up to 500 words, but comprehension is low and they rely on gestures and facial expressions. They can respond with non verbal responses such as nodding yes or no, pointing to a picture, or drawing their own. In Wixie and Pixie, students can use the paint tools, click and drag, and name and label objects. Both tools come with hundreds of curriculum-based activities, many of which utilize click and drag opportunities to help you evaluate student understanding. This is especially helpful in classrooms using the Sheltered Instruction Operation Protocol (SIOP) model to promote content knowledge as well as language acquisition. Students can also show knowledge, understanding, and creativity through the use the paint tools, allowing them to participate in classroom learning. While comprehension is still limited during the Early Production Stage, students can respond verbally using 1 or 2 words. In Pixie and Wixie, students can do the types of activities listed above, as well as record voice and type short phrases. It is helpful to create and use cloze, or fill-in-the-blank activities. These can be particularly helpful for helping students focus on vocabulary essential to a unit of study, as well as use words in their speaking vocabulary. For example, if you have just visited a farm or studied these animals, you might construct a page that provides a picture of a cow with the sentence, "On the farm, I see a ____. It is ____ and _____." The image provides a clue as to the word you want them to use and also provides an opportunity to use basic adjectives. You can also take an open-ended approach to fill in the blank to make this type of activity less tedious. My son's Kindergarten teacher read Denise Fleming's In the Tall, Tall Grass. She then set up a page with fill in the blanks and the students added a noun and verb. Each students completed the sentence, illustrated the page, and recorded their writing. Each students page was combined into a class book and shared online. Not only did this allow each student to choose what they wanted to talk about, their completed eBook turned them into published authors, motivating them to continue reading and writing. Effective ELL instruction can also utilize work you are already doing to build early literacy skills such as alphabetic principle, vocabulary, comprehension, and fluency. For those in early stages (or even young learners), set up a fill-in-the-blank style project based on sight words. 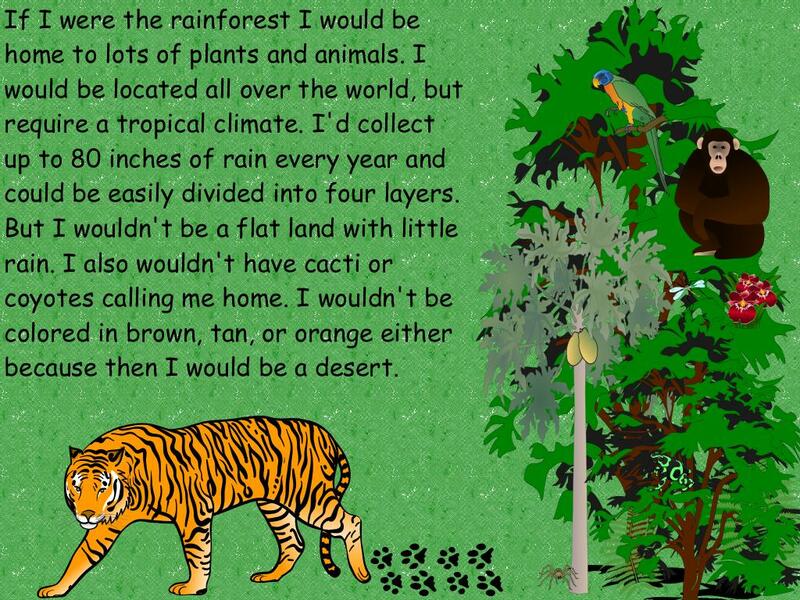 Combine each student's single page into a class book to share with others. At this stage students are able to produce and use simple sentences. You can encourage them to produce language by explaining their thinking using sentence starters. 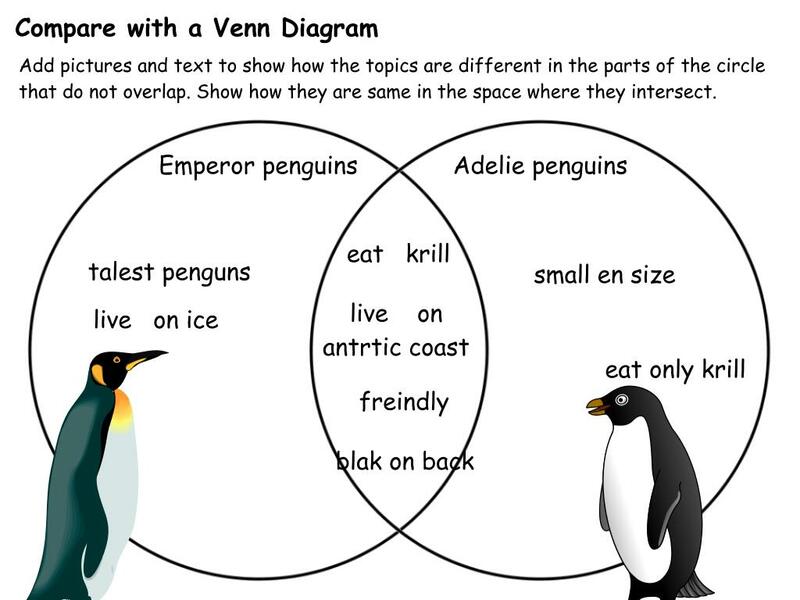 Graphic organizers also provide opportunities to demonstrate critical thinking through both visuals and simple sentences. Encourage students to record the sentences they write or complete. At this stage they still make a lot of grammar errors and listening to their speech can help them better identify the errors. In the intermediate stage, students have mastered basic interpersonal communication skills (BICS), making them sound like fluent speakers. Because they no longer make as many grammar mistakes, they have the confidence to ask more questions and even express their opinions. It is important at this stage to focus on building academic and domain specfic vocabulary. While students have good language skills, they often don't feel confident about using language in all situations. Second-grade teacher, Katy Hammack found it helpful to have students create instructional videos to teach others the new grammar skills they had mastered. While producing oral language and writing that are on public display can be intimidating, they provide opportunities for students to show off new language skills. Students can also use a headset mic and practice reading and speaking a passage over and over again until they are comfortable sharing their output. At this stage, language learners have a nearly-native level of speaking. Focusing on complex ideas and critical thinking can help students continue building language expertise. Liz Allen share some great ideas, such as If/But Comparitives, to build literacy in her article "Build Thinking Skills with Informational Text Projects." You can also help students practice producing academic language through persuasive writing projects that tap into their passions. Public service announcements are great examples of writing and oral fluency that almost every student has seen. No matter what level of language acquisition, Pixie and Wixie provide powerful opportunities to utilize visuals, practice oral fluency, and participate in meaningful language production. Find additional resources in our free English Language Acquisition Resource Kit!